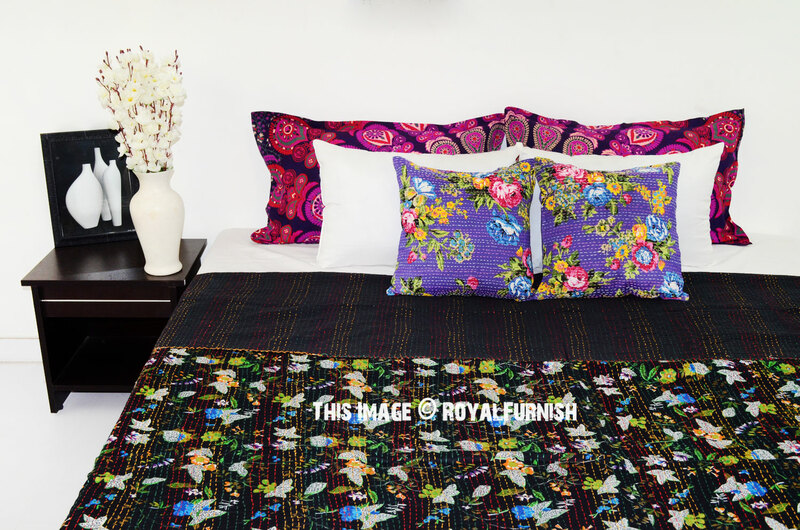 Adds warm, cozy and comforting effect to bedroom interior with Indian kantha quilt and improve personality of bedroom interior by adding hand stitching kantha quilts. 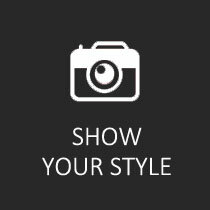 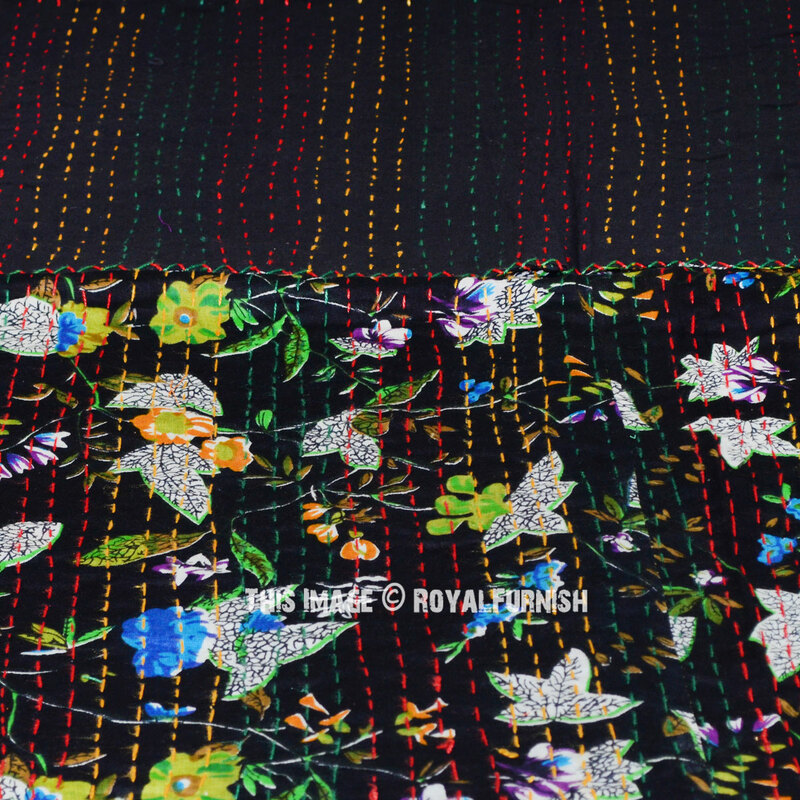 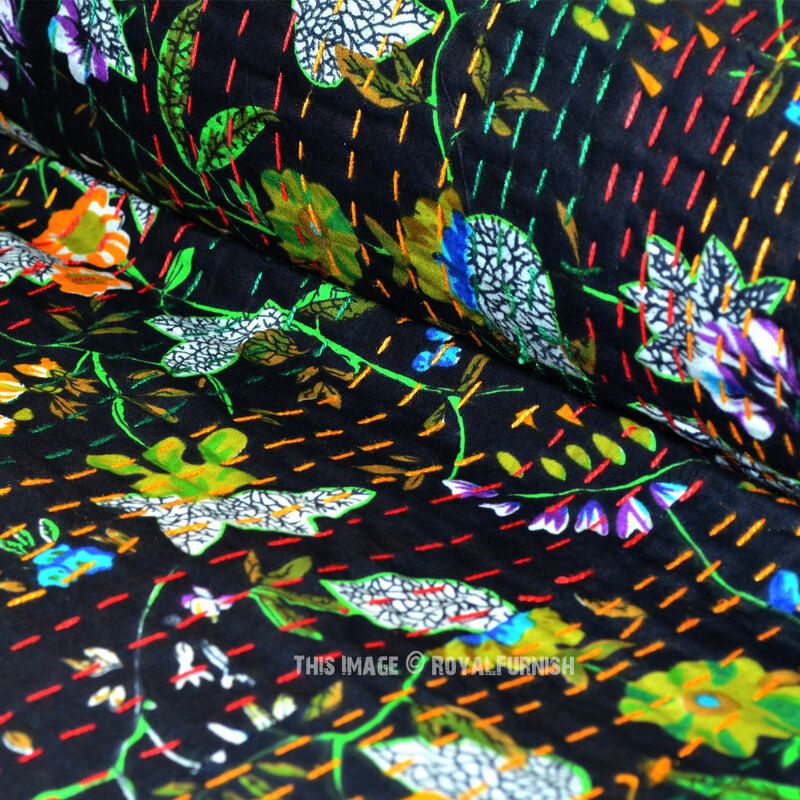 It is made in rural areas of India where women do this hand stitching traditional kantha work on cotton fabric. 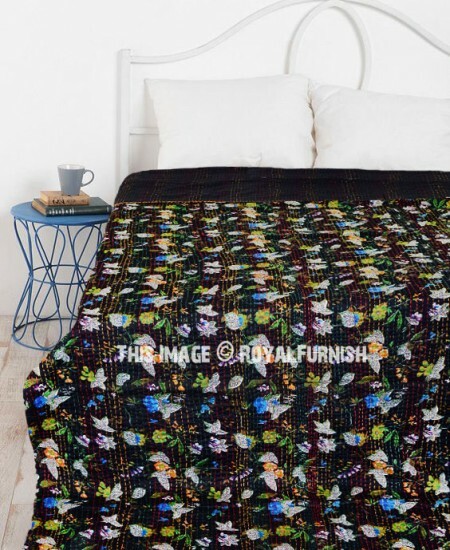 A multipurpose quilt can be used as throw, quilt and blanket. 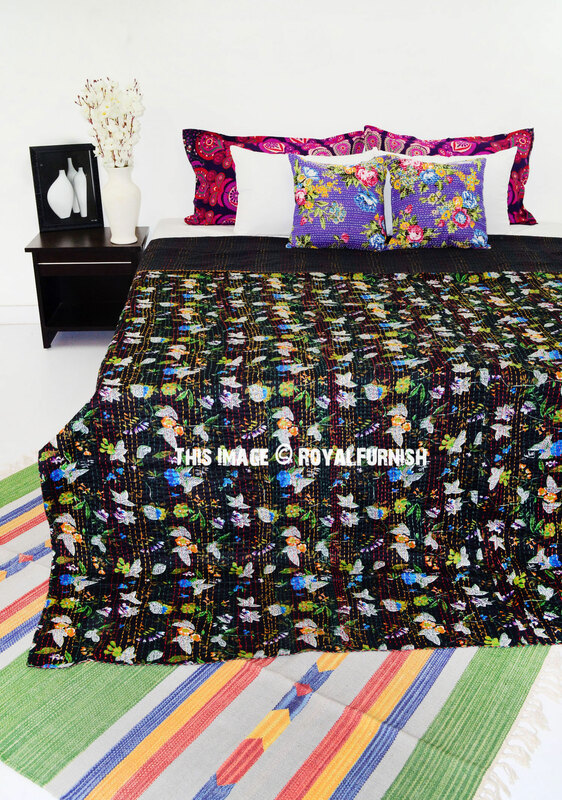 Add a wonderfully homely air to any bedroom, infusing it with love and charm. 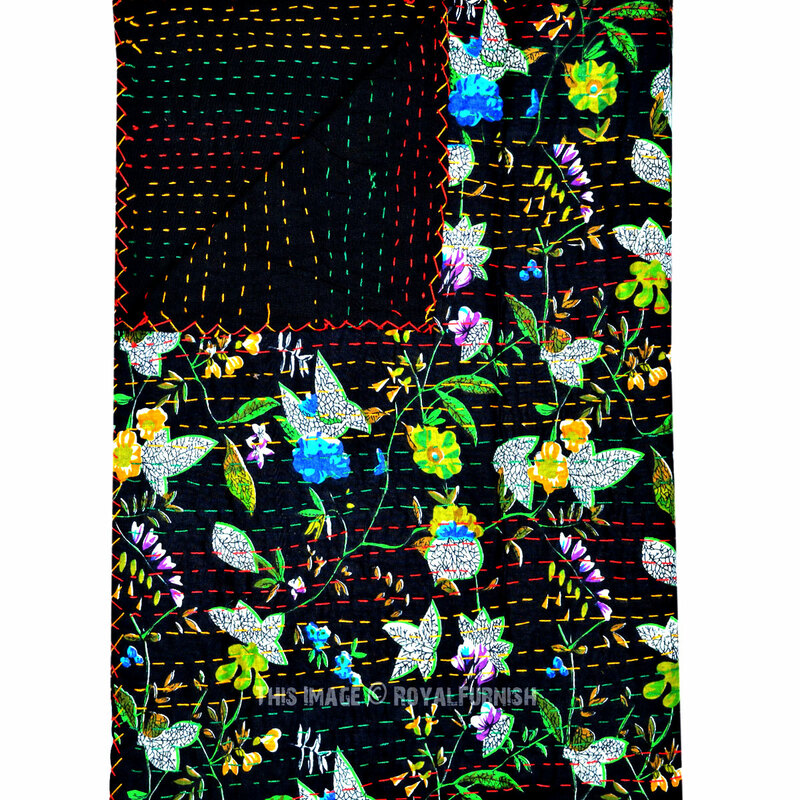 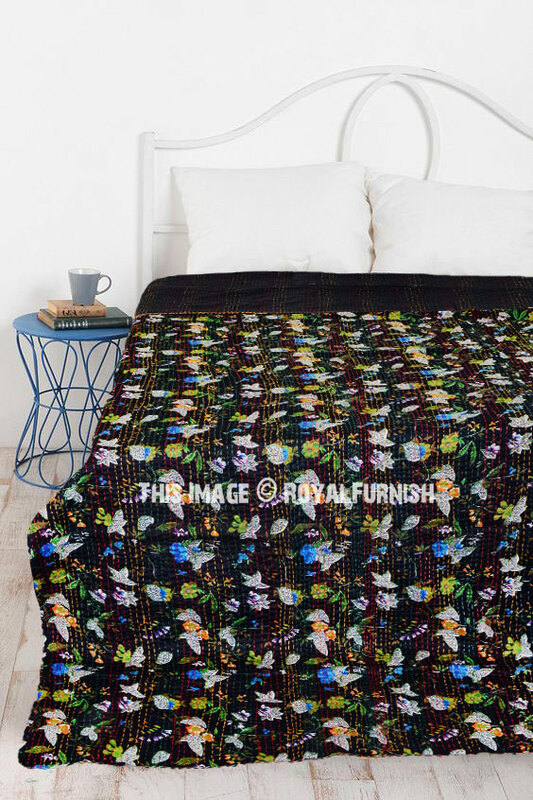 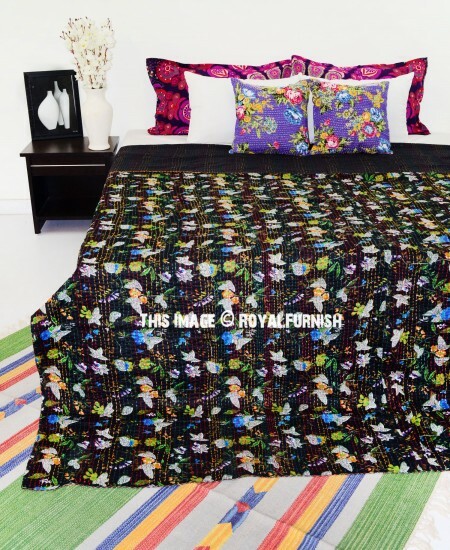 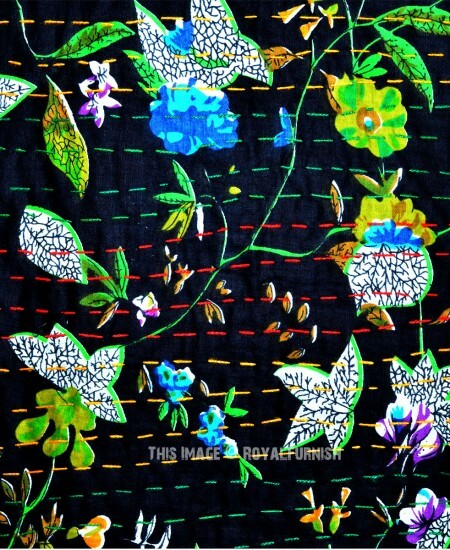 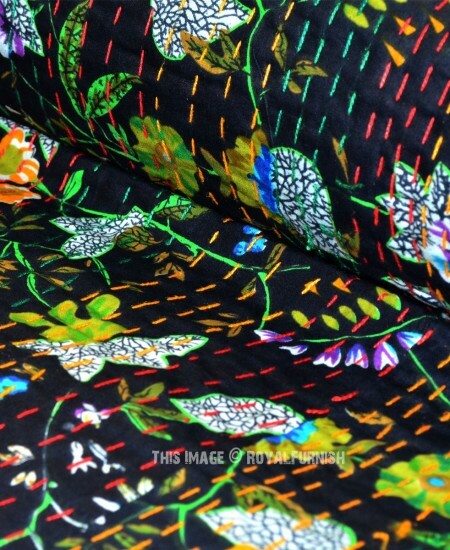 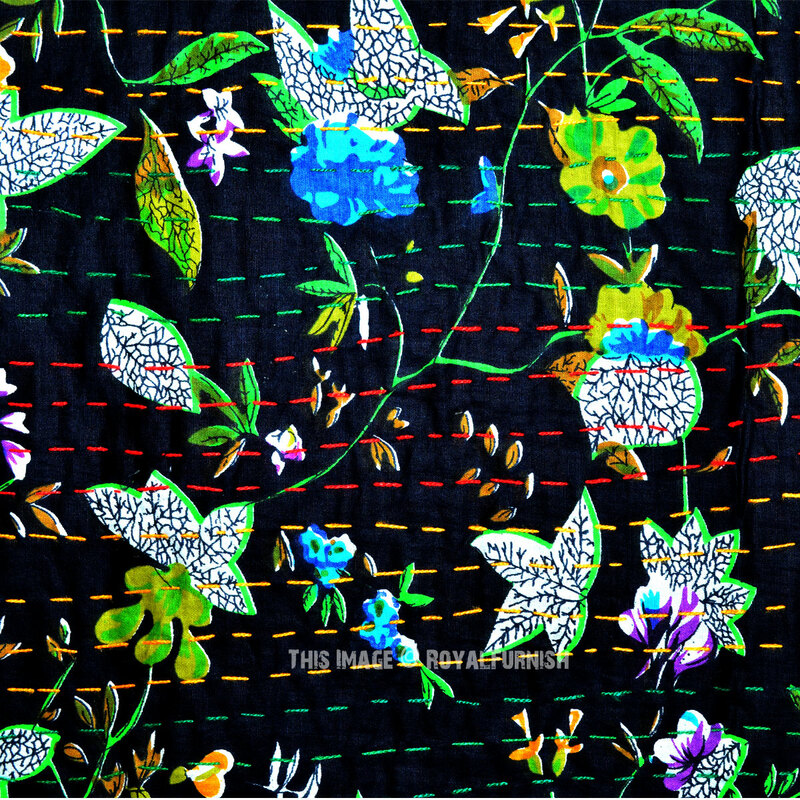 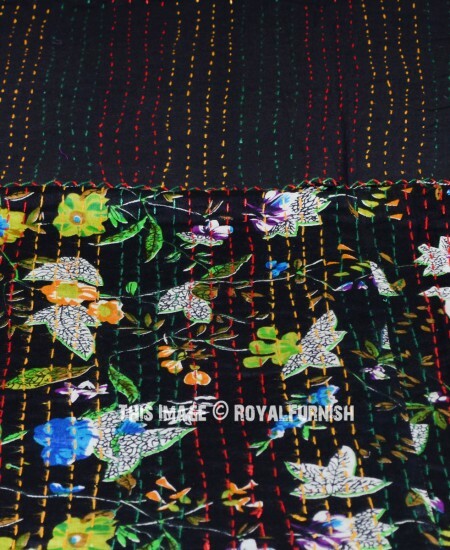 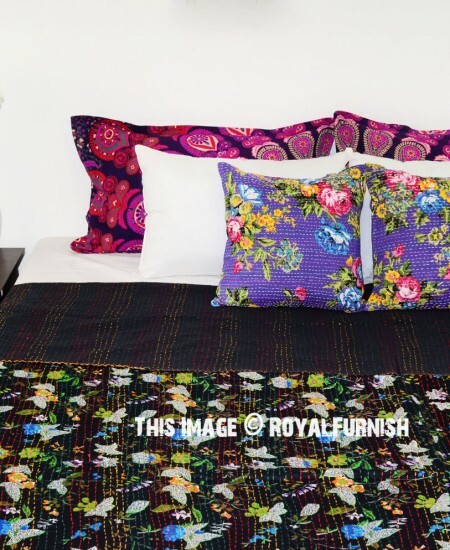 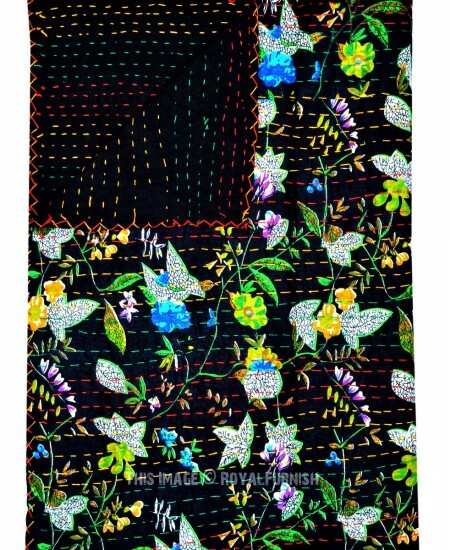 Black Tree Leaves Printed Unique Cotton Kantha Quilt Bedspread 90X108 added to the cart!